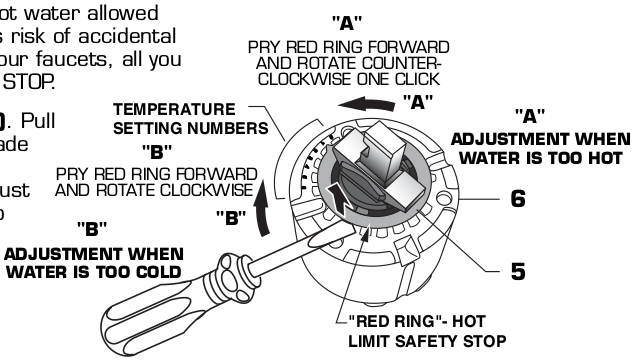 The red ring (the “hot limit safety stop”) fits into one of eight click-stop positions; the photo shows it in position 5, with 0 being just to the right of the bottom screw and 7 just below the horizontal notch across the middle. 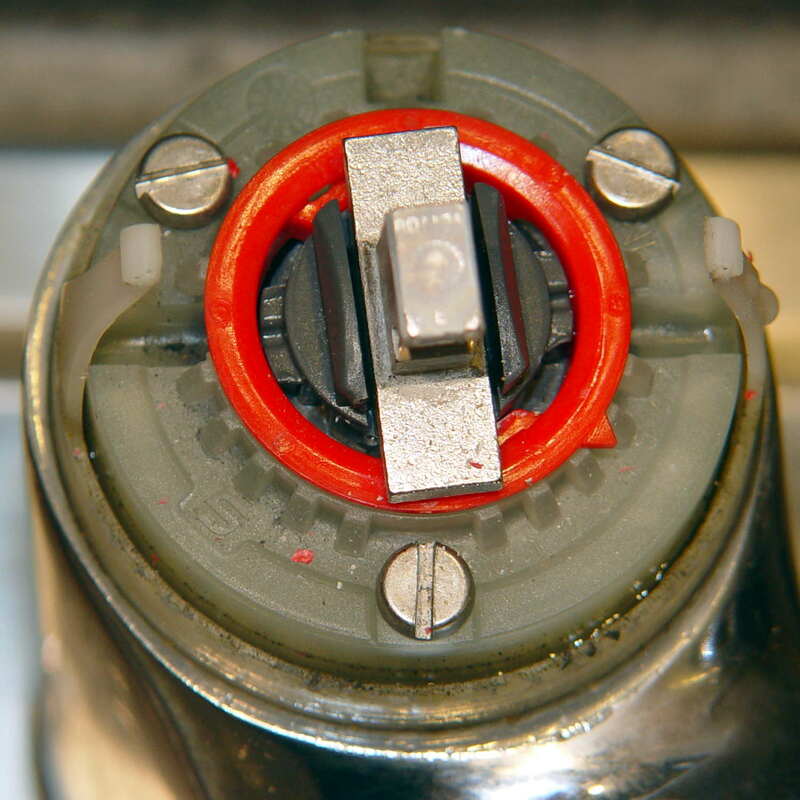 The dark gray plastic feature inside the ring connects the metal handle (the out-of-focus silver stud aimed at you) to the valve assembly. The two lugs sticking out to its left and right bump into the inward-pointing red lugs as you rotate the handle leftward = clockwise = more hot. With the ring set to the 0 position, the red lugs overlap similar lugs molded into the light gray valve body that limit the rotation in both directions. I have no idea how the red ring could disengage its splines and move counterclockwise by five clicks all by itself. I reset it to 0, reassembled the faucet with a dot of penetrating oil in the set screw, and it’s all good. This entry was posted on 2017-09-02, 07:56 and is filed under Home Ec, Machine Shop. You can follow any responses to this entry through RSS 2.0. Both comments and pings are currently closed. What? No application of a blob of JB Weld to ensure that it never moves again? In this case, epoxy would complicate cutting the ring outta there: no mercy will be shown!